Sold by Healthcare Direct UK and Fulfilled by Amazon. Gift-wrap available. 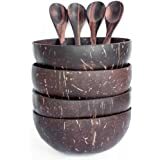 HAND CRAFTED - Reclaimed from Thailand, each bowl is hand crafted from sustainable sources. 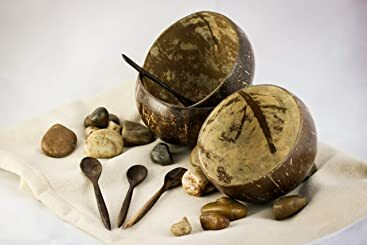 Coconuts & Spoons are cut, cleaned and sanded and then polished with Coconut Oil. 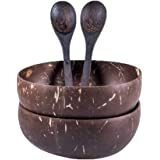 The original shape of a real coconut bowl is maintained turning them into beautiful bowls you can eat from. 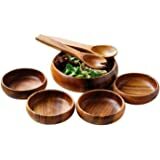 MULTI USE - They are the perfect companions for smoothie bowls, salads, soups, curries, noodle dishes and pastas, and will brighten up any meal time! 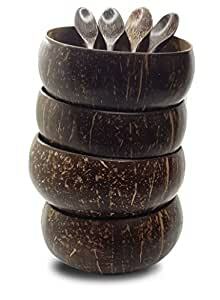 Even use them as decoration around the house. 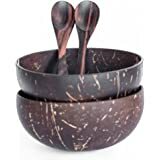 100% NATURAL & ECO FRIENDLY - These coconut shell bowls are hand made from real coconuts reclaimed after being discarded as waste. 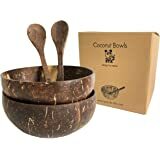 DURABLE & EASY TO CLEAN - Coconuts are durable material; each bowl will last many uses and will add a tropical feel to every meal! Just a quick Hand wash and they are good to use again. 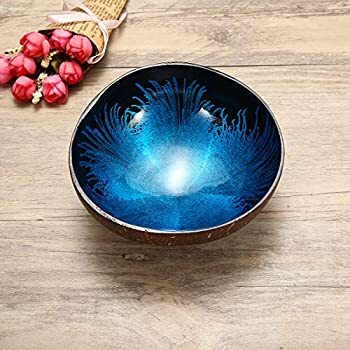 UNIQUE DESIGN - Each bowl is 100% unique with its own colour, shape, design, pattern therefore may have dents and imperfections. 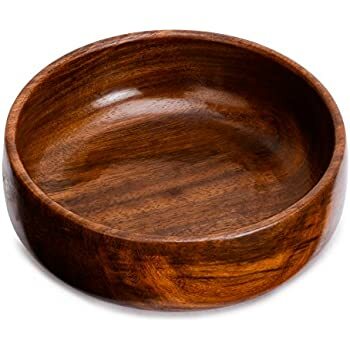 No one will have a bowl like yours! 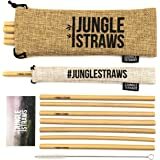 Sold by Healthcare Direct UK and sent from Amazon Fulfillment. 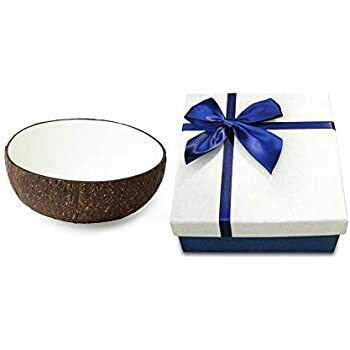 100% natural coconut bowls are beautifully handcrafted from the shells of tropical coconuts! 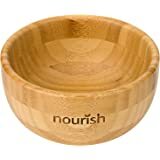 Each bowl goes through a process of being cut, cleaned, sanded and finished with a food-grade organic, virgin coconut oil. They are the perfect companions for smoothie bowls, salads, soups, curries, noodle dishes and pastas, and will brighten up any meal time! 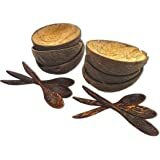 The way to bring a slice of tropical nature into your home with minimal environmental impact. 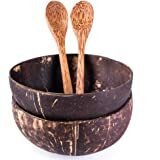 Love these coconut bowls, use them for everything from cereal to curry and rice! 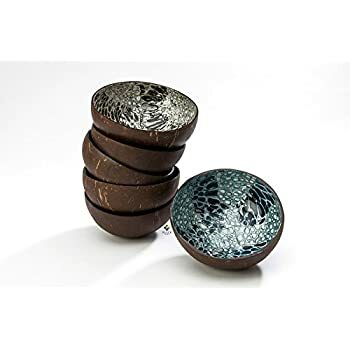 The only thing is they don’t stand up (obviously because they are round bottomed), and because they are natural shaped, they don’t stack on top of each other in the cupboard, but it’s ok, they are still lovely. 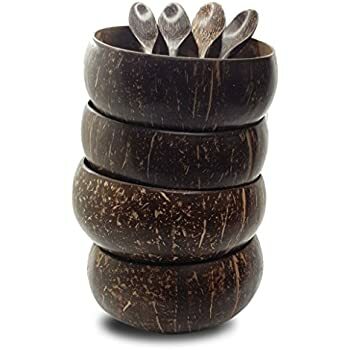 I bought these bowls and spoons as a Christmas gift for close friends and they were thrilled. 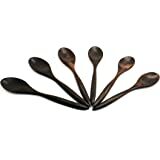 The uniqueness and individuality of each bowl and spoon is truly lovely and they are perfect as gifts at any time. I would highly recommend them. 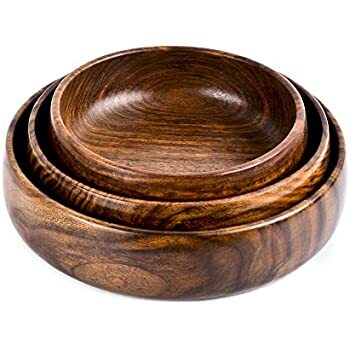 Exactly as pictured, fast delivery and I would purchase again! 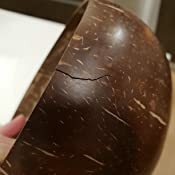 I dont know how that cracks will evolve with heavy use. 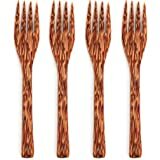 Now I only use them for dry foods only. They arrived quickly and look very nice,each one us unique in shape and colour. But the spoons are very small. These arrived on time and are beautifully made. I love them.